The Sena said why should eyebrows be raised now over its decision when the allies were being sidelined by the BJP in setting its target of winning 380 plus seats in the next general elections. 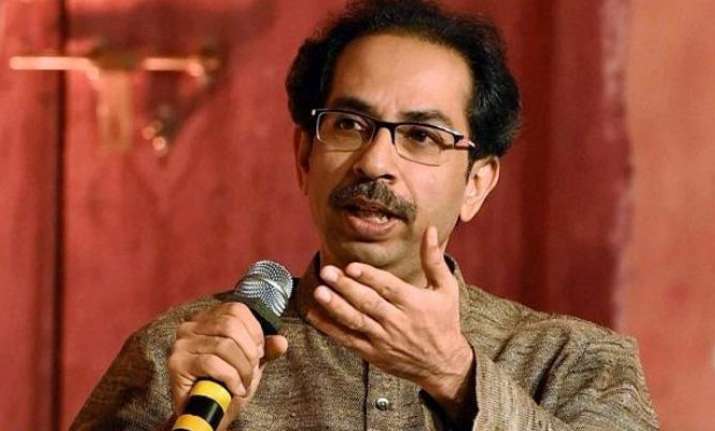 A day after announcing to go solo in the 2019 Lok Sabha and Maharashtra Assembly polls, the Shiv Sena today blamed the BJP for its decision, alleging that the allies were being given a cold shoulder in the NDA. Affirming that it has decided on its way forward, the Sena cited an example of Chhatrapati Shivaji Maharaj, saying the Maratha warrior king went ahead to fulfil his pledge for 'Swarjya' at a time when people used to question as to from where he would get resources to take on Mughal rulers. The Sena's aim was social uplift and thus, it does not need to worry about political wins and losses, the party said in an editorial in its mouthpiece 'Saamana'. The Sena, which is a part of the governments at the Centre and in Maharashtra, yesterday said it will have no truck with ally BJP in the 2019 state Assembly and LS polls. "BJP chief Amit Shah has given a target of 380 plus seats in the 2019 Lok Sabha polls. When the allies of NDA are being sidelined in setting this target, why the astonishment over Sena's stand to go solo in the Lok Sabha and the Assembly elections?" the editorial asked. It said that BJP stalwart late Pramod Mahajan had in the past given a call to secure a 100 per cent mandate in polls and at that time, nobody had asked him why was the Sena being sidelined, even as it was an ally of the BJP at the Centre and in Maharashtra. The Sena was formed as a means to create social uplift and thus, it does not need to worry about political wins and losses, said the editorial. "We have decided on our way forward," it said. Recalling the oath of 'Swarajya' taken by Shivaji Maharaj during the rule of Mughals, the Sena said the Maratha warrior did not worry about the vast empire of Muslim rulers and their unlimited sources of wealth when he himself did not have enough money to pay his army men. "Questions were then raised how he would fulfil his pledge of Swarajya and who would back him. Yet, Shivaji Maharaj went ahead because he knew people would back him," it said. A similar opposition was faced by Sena supremo (late Bal Thackeray) but he went ahead, knowing his "aim was to do good for people," the Sena said. The Sena, in its National Executive meet held yesterday, passed the resolution to go solo in the Lok Sabha and state Assembly polls in 2019. The party set a target of winning at least 25 seats (out of a total 48 Lok Sabha seats in Maharashtra) and 150 Assembly seats (out of a total 288) in the state. The Sena, which has been routinely attacking the BJP-led governments at the Centre and in the state over a variety of issues--from demonetisation and GST to the plight of farmers and cross-border assaults by Pakistan-- also said it would now contest elections outside Maharashtra.